Dr. Sarbak believes in the medical fusion of art with life to achieve the natural results you are looking for. From your first contact with our plastic surgery team, you will realize we offer a uniquely personalized experience that caters to your specific needs and cosmetic goals. We are dedicated to delivering outstanding patient service throughout every phase of care, and we devote our energy to ensuring your complete satisfaction. Our practice is structured to provide each individual with the undivided attention they deserve—including allowing one full hour for each new patient encounter. Every member of our staff is held to the highest professional standards, and each possesses the knowledge, experience, and expertise necessary to be of maximum help to our patients. Whether you are considering a surgical procedure such as breast augmentation or a non-invasive treatment like CoolSculpting®, our ultimate goal is to educate you about treatment options that are safe and well-suited for your needs, allowing you to ultimately make an informed decision about your care. Considered among the top board-certified plastic surgeons in Florida, Dr. John M. Sarbak is renowned for his compassionate approach and the natural-looking results he achieves for his patients. He offers state-of-the-art cosmetic and reconstructive surgery performed using the latest techniques to enhance safety and create optimal outcomes. He also provides a wide range of minimally invasive and non-surgical aesthetic treatments. Dr. Sarbak’s extensive experience in customized body contouring, breast enhancement, skin rejuvenation, and facial plastic surgery allows him to guide patients toward individualized treatment plans that effectively address their concerns while delivering satisfying results. 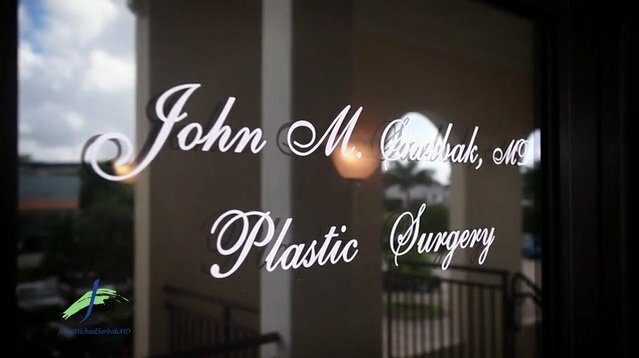 Dr. Sarbak is certified by the American Board of Plastic Surgery and maintains active membership in both the American Society of Plastic Surgeons (ASPS) and the American Society for Aesthetic Plastic Surgery (ASAPS)—organizations which strive to promote excellence and advancements in the field of plastic surgery. In addition to leading his private practice, he is also the Medical Director of the White Orchid Spa and donates his surgical talents to helping South American children born with facial deformities. Our brand new spa facility offers a full spectrum of the latest med spa and day spa treatments. Whether you choose pampering and luxurious therapies for the body, face, skin, or non-surgical cosmetic enhancements, such as Thermi, Halotherapy, and CoolSculpting®, our spa can help you look and feel like the best version of yourself. Our facility is designed and decorated with your comfort in mind, and our team of experienced specialists is dedicated to providing a world-class personalized experience. Our highly skilled estheticians and massage therapists are each hand-selected for their outstanding skills, making Premier Plastic Surgery & Spa a destination for spa-savvy patrons throughout the region.